Lent is fast approaching Today is Meatfare Sunday. As a community, Orthodox Christians will not eat meat again after today until the fast is broken on Pascha. But Lent is more than just not eating meat or dairy. It's a time of preparation. We renew our minds by focusing on the spiritual. Along with fasting we pray more and do almsgiving. Many of us turn to books to help us renew our minds and focus on the spiritual. 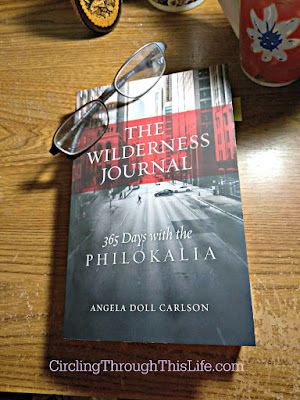 The Wilderness Journal: 365 Days with the Philokalia by Angela Doll Carlson is an excellent choice for preparing for Lent. First let's talk about the Philokalia. The Philokalia is not a single continuous book with one author. It is is a mult-volume collection of texts from the 4th to the 14th centuries focusing on spiritual living. The writers are all spiritual masters in the Orthodox Christian Tradition. The Wilderness Journal is a devotional tool we can use to pursue Holiness by mediating on God, faith and Spiritual things. Unlike the common Bible devotions available where you read a short passage from scripture and then the devotional author shares his or her thoughts on the passage, this book helps us to mediate on spiritual living by using passages from the first volume of the Philokalia. Angela Doll Carlson invites you to come along with her as she shares her year long journey of reading and journalling the Philokalia. The Philokalia - a collection of the best writings from Orthodox spiritual masters across many centuries - is a treasure trove of direction for the spiritual life. But it can be overwhelming at first glance. Popular author and podcaster Angela Doll Carlson set herself the mission of reading through The Philokalia in a year and journaling about the thoughts it called up in her. The result is a thoughtful, inspiring daily devotional that introduces new readers to this great spiritual classic and helps us apply the wisdom of the ages to a layperson's life in the modern world. The book opens with a short Explorer's Note letter. Angela Doll Carson shares how her wilderness journal began and how it is "a view of [her] own wilderness, words from words, in dialogue with the text itself. Because our dialogue might differ from hers, we are encouraged to "consider keeping a wilderness journal of your own." 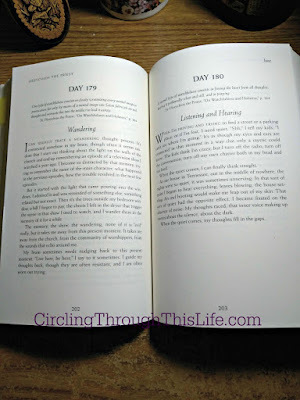 The Wilderness Journal is divided into sections for each of the spiritual masters. Each saint's section’s first day is an introduction. These introductions are not written by Angela Doll Carlson. Each one is written by a different author but all of them provide background information to help readers learn a little more about the spiritual master. Each day, after the introduction, begins with a couple of sentences. Some days there is only a one sentence such as Day 59 where we read "Cultivate great humility and courage, and you will escape the power of demons." Evagrios the Solitary, "on Prayer, p. 66 [ page 73] while others are more like a paragraph. Most days however, begin with a 2 or 3 sentence quote from the Philokalia. All of the quotes are from the first volume. There is one reading for each day so there are 365 readings. The beauty of this though is that they are numbered Day 1, Day 2 Day 3 etc. So you can start any day and if you are like me and skip a day or three here and there you can just pick up where you left off without being hounded by the date across the top not matching. There is a month listed in the upper right hand corner but it is smaller and in italics and I find it easy to ignore it and focus on the large bold Day 68 for example. I have found that I get the most out of each day's readings when I take the time to read and re-read the quoted Philokalia text and think about what it means to me before reading what Ms Doll Carlson had to say about it. Sometimes she takes in a direction that I would have never thought and yet it makes sense. This isn't an easy book to read but it is thought provoking. The readings are short but don’t let that fool you in to thinking they are not rich, deep, and thought provoking. Angela Doll Carlson is a talented writer who paints pictures with her words. She shares her journey through the wildness and invites us to travel with her. I find myself not just thinking about what the Spiritual Master had to say, but about how Ms Doll Carlson frames the application for our modern world. I recommend this book as an introduction to Philokalia. Angie Doll Carlson has made these gems accessible for those like me who find the Philokalia intimidating and overwhelming. I received this book from Ancient Faith Publishing in exchange my honest review. My Love Affair with the Homeschool Review Crew! Yes I am specifically writing this post to link up to the Friday (I know it's not Friday!) 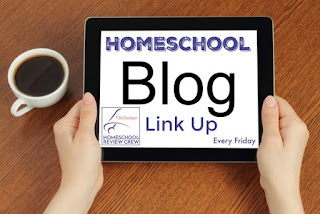 Homeschool Blogger Link Up hosted by the Homeschool Review Crew a division of The Old Schoolhouse® Magazine. 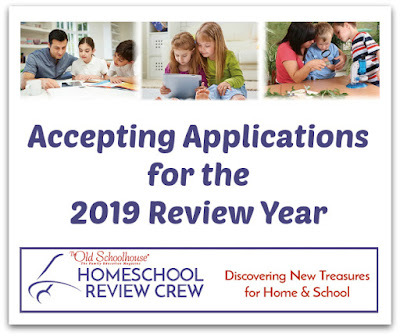 This Crew Blog's post is Homeschool Review Crew Needs You. Yep we want to grow the crew an to do that we need more home educating bloggers. But not just bloggers. We want Vloggers too! Are you an active You Tube Vlogger? We have a section in the 2019 Crew Application just for you! Now that you know why I am writing this post let me tell about my long term love affair with the Homeschool Review Crew. We meet to speak when it was brand spanking new in 2008. 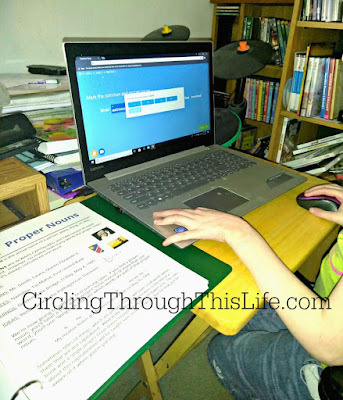 An online friend and co-moderator with me of an online email group for home school support had just embarked on the Maiden Voyage of this new concept of receiving home school product in exchange for a review! Back in those days you didn't have to be a blogger you just had to have a place such as a home school support group newsletter to share your review. It sounded scary and a bit overwhelming and when applications for the 2nd year were open I just couldn't bring myself to do it. BUT! Another co-moderator and good friend from that group applied and was accepted. I spent the next year hearing about how incredible the experience was. Not just with getting introduced to some really cool product but making friends and growing a blog. They wanted to expand for the 3rd year. I had been writing up reviews of sort as responses to questions so I had some experience but I was still so unsure. I had started a blog and then had let it kind of but in the spring of 2009 I was back to blogging. The Crew needed folks with high school students. I had a high school student. I had one in high school 1 in junior high and two in elementary. I gave in to the pressure of "encouragement." and was invited to join the crew for the 3rd year which ran June 2010 to May 2011. It was the best decision I think I ever made regarding home schooling. We hit some really hard lows financially and if it were not for the crew I would not have been able to give my girls the amazing education they got. God provided for my family what we needed for education through the Crew. I would pray over goals and subjects and then watch as just what we needed (even if I didn't realize we needed it at the time) appear on my list of review products. Math courses, literature courses, electives, just-for-fun, science, history and lots of supplemental things. But my love affair isn't just related all the amazing products we've received over the years. While I don't consider myself a highly technical person I've learned a thing or two about blogging. I've learned a thing or two about social media. I've learned a thing or two about writing as well so my writing and blogging has improved over the years. I choose not to be a "professional blogger" but I wanted to be there are lots of folks on the crew would be wiling to give me a lesson or two on how to do that. You see we have the wonderful private forum just for Crew members! On this forum we have boards where you can get technical support for your blog or advice on your home business. There's a board for asking for a great recipe or ideas of lunches. We have a board for homeschooling support. I think my favorite board is the Prayer and Praise board. We support each other through prayer. We rejoice with the praises. And of course the main purpose of the board are the sections with the information crew members need for their reviews. Many folks say the forum is what they miss most when they step down from the crew. In the fall of 2015 I was offered the position of Crew Leader. As a Crew Leader I join with the other Crew Leaders to make the Crew run as smoothly as possible. I accepted the job because I love the crew and because it gives me a chance to make sure that the crew is there for other folks like me who need the support and who need the products. I have made friends through the crew. I have found support through the crew. I have received tools to give my daughters an amazing education. I love the Homeschool Review Crew and I'd love for you to join us! 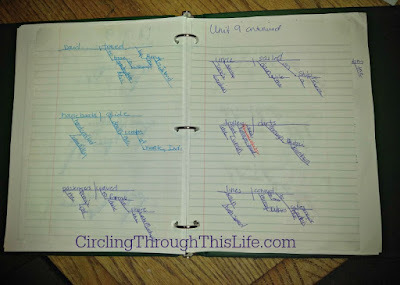 As a Crew Leader for the Homeschool Review Crew I typically do not write reviews. I become familiar with the product so that I can do my job as Review Quality Manager. From time to time , I come across an amazing product that I love so much that I choose to write a review simply because I love the product. GrammarPlanet is one of those products that I love so much that I want to share it with my readers. GrammarPlanet is an online subscription based program to teach students of any level. This program can be used with students who have had no previous grammar instruction as well as students who have had quite a bit more experience. 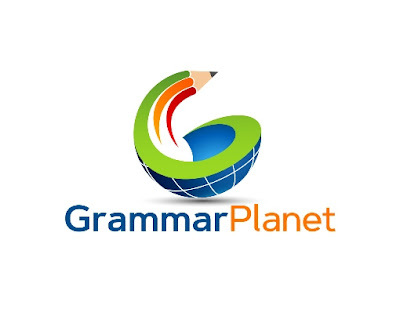 The creation of GrammarPlanet is the realization of a years-long dream to be able to make grammar education … REAL grammar education … available and affordable for anyone, regardless of the type of school, the economic background, the location, etc. While there are a lot of homeschoolers who will benefit from it, I also hope low-income schools, students who go to schools that don’t teach it, and adults who never learned it, will be able to finally learn HOW our language works and therefore learn how to speak and write it correctly. GrammarPlanet teaches grammar through videos and pdf files of notes. Students practice parsing sentences using the interactive program. As I type this there are 13 Units available. 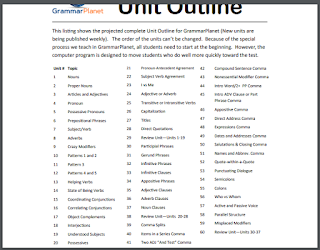 In the How this Works section on the main page of GrammarPlanet.com you will find a pdf with a projected outline of what they are planing to cover. The list keeps growing! This program will cover everything! This program also teaches how to diagram starting in Unit 6. The diagramming needs to be on a separate piece of paper but there is a key to check your work. Each unit begins with a teaching video. The length of the videos varies from unit to unit with some only a few a minutes and others roughly 10 minutes long. The more complex the information being presented, the more time Ms Karl takes to explain the concept and walk students through the process steps needed. For me the videos feel like Erin is sitting down with me at my desk and not just teaching me but encouraging me and coaching me. "If you take your time and follow the process steps exactly as I have outlined them, you'll be fine." She encourages folks to do no more than 15 minutes at time. "Sometimes your brain just needs a break." In one video I was nearly certain she had some type of intel on my home as she said "you have other things you need to do besides grammar." Really, Erin, were you looking in my window and seeing the dirty dishes? They are interactive! ~ There are quiz questions sprinkled out through out the video. You can replay the section or answer the question. Some questions are true/ false and some are multiple choice. Examples include: "Which group is a list of proper nouns?" or "True or False Some linking verbs can also be action verbs." They are Closed Captioned! ~ I am hard of hearing and my computer sound isn't so great so I appreciated being able to turn on those captions. On the left is a panel with a outline of what's covered in the video. This is very helpful if you are trying to re-watch the video and just want to skip ahead to the section you need. You can open the videos in another tab to get more of a full screen video. I much preferred having it play in a new tab. I set up myself as a student so that I could get a feel for the program. As a Crew Leader I wanted to get familiar with the program so I could answer Crew Member reviews. As a homeschool mom, I wanted to check out the program to see if I could adapt it to work with Supergirl. At first I was like really watch a video? I know what a noun is? Read the notes? Come on I am a college graduate who has taught grammar to my students in my homeschool. I know that a noun is a person, place, thing, or idea. 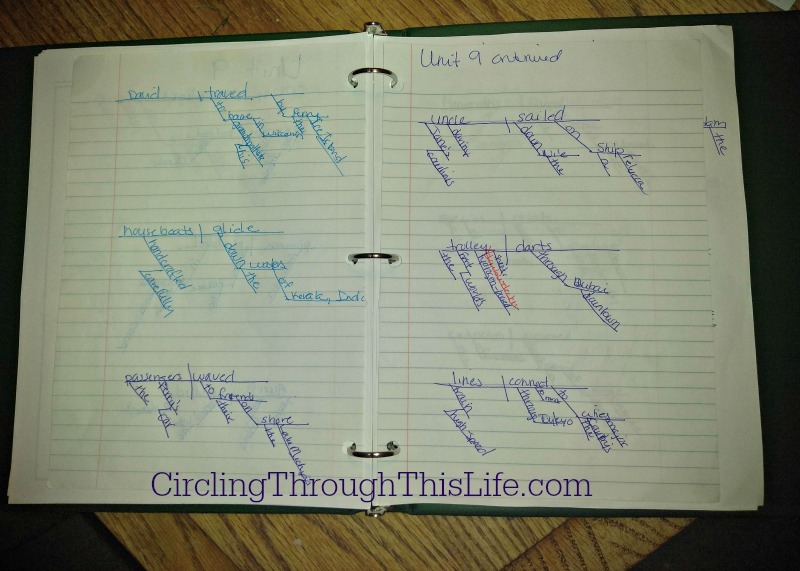 I think I cruised through Unit 1 Common Nouns and Unit 2 Proper Nouns when I realized I really did need to watch the videos so that I could get a feel for the program. Take my advice. Even if you think you know the topic watch the video. I found that I loved the program. Parsing each sentence was fun and when I got to Unit 6 found that doing the diagrams were like solving a riddle. I think I cheered once or twice or I lost count of how many times I cheered when my diagram matched the key exactly. So working on GrammarPlanet became a fun way for me to relax or unwind. I am far enough in the program that I really do need to take Erin's advice and take it slow. I usually only do 2 or 3 sentences along with the diagramming. I have every intention of continuing this for myself until I have completed the whole course. For my regular readers you know that Supergirl is different. 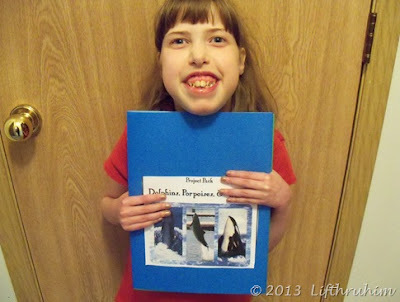 She's my developmentally delayed, medically fragile, special needs miracle. She defies all labels. I don't recommend using GrammarPlanet with a neurotypical child who is not yet reading fluently. GrammarPlanet is intended for ages 10 to 99 nd I agree with that age range. I think for those of us with some grammar knowledge we need to be careful that we don't let that trip us up and for those like Supergirl with little to no understanding of grammar concepts, Erin Karl does a fantastic job of making the concepts understandable and doable. The recommendation is to to use the program for about 15 minutes a day every other day. Some students may be able to use it every day but others will need the break to let the information marinate. So for Supergirl we started by watching the video and reading the notes. Then we tried a sentence and stopped for the day. The next time we watched the video again and read through the notes again and did a couple of more sentences. The third session we did not re-watch the video. Supergirl is not reading fluently though she is ready for grammar instruction especially the way that GrammarPlanet teaches it. So I read the sentence to her twice and then she picked out the nouns. The first few sessions she struggled with grasping that the common noun is just one word. She wanted to add the adjectives or articles. When she was stuck we used the terminology used in the video. "What are we are talking about in this sentence? What are the topics?" "Oh we're talking about scientists!" or "Oh we're talking about math." Sometimes she would guess and pick a word that is not a noun so I would ask her "are we talking about revolving?" "No." By the end of Unit 1 she was correcting herself. Using the "what are topics," concept she was able to correctly identify "studying" and "learning" as nouns. Yes, they are gerunds but Erin doesn't expect students to know that at this level. She's teaching students about how nouns work. These were the things we were talking about so they are nouns because they function like nouns. They are being used as nouns. Supergirl aced Unit 1 and we have started Unit 2. If we keep taking it just a couple of sentences a day a couple of times a week I know that she'll be gaining a solid understanding of the English language. I don't know yet how I will tackle diagramming with her when we get to Unit 6 but I think it might involve index cards and arranging those cards in the sentence diagram. I like it. I think it is fun because I like picking out the words. I like the teacher in the videos because she is so sweet. I like the quiz questions in the video. I think this is an excellent program that teaches grammar concepts in a logical easy-to-understand manner. While I knew what a linking verb was and what a predicate nominative was it seemed so simple. So basic yet earth shattering to hear Erin say "if the subject and the noun after the verb are the same person you have a linking a verb." Duh. Why did no one else ever put it that way? I even have a better understanding of diagramming. I hated diagramming. I think because I didn't grasp it. Now I get it. I have recommended that Boobear who will be starting her graduate studies in a few weeks to work this program to brush up on her skills since she will be writing graduate level papers. Tailorbear has an account all set up and she'll be working through the program. Looking for a painless way to teach grammar to your children? Want to improve your own grammar skills? I highly recommend checking out GrammarPlanet. Currently there is a free version available that is ad supported. Soon there will be an option to upgrade to a paid account. 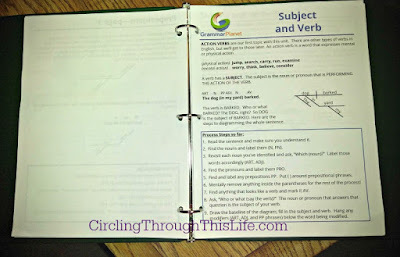 GrammarPlanet generously provided ad free paid accounts to Homeschool Review Crew members. You can click on the banner below to read their reviews! It's Thursday! Thankful Thursday and day 4 of the Back to School 5 Days of Encouragement Blog hop hosted by the Homeschool Review Crew! Today's post is simple and to the point. I am grateful for the Homeschool Review Crew. I started as crew member in June 2010 which was the start of Year 3. I've been serving on the crew since then coming back for Year 4, the short transitional 2012 and continuing with 2013, 2014 and 2015. In 2016 I stepped up into the role of Crew Leader. Through the Crew I have made some fabulous friends. I've been introduced to vendors I never would have known about and tried products that I never knew i needed until I reviewed them. Money has been tight. Some years more tight than others. God certainly used the Homeschool Review Crew to provide curriculum that I might not have been able to afford otherwise. Because of the Crew I've had a change to try different reading and math programs with Supergirl and really get to know her learning style and what works best for her. Because of the Crew Turtlegirl discovered she loves languages and has an aptitude for them. Because of the crew she studied Latin, Russian, and French. I couldn't imagine trying to home educate without being part of the Homeschool Review Crew. What are you thankful for today? Be sure to visit some other crew members to read what they are thankful for. See what makes them keep going on this journey of learning through home education. Here are just a few of the Homeschool Review Crew members who are participating. Visit their blogs and be sure to check out even more posts on the linky! 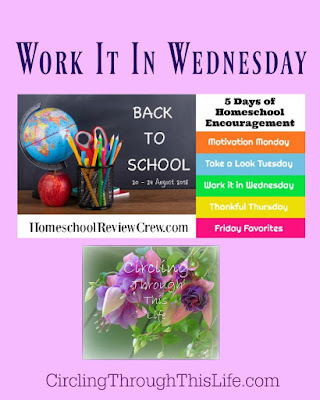 Today's theme for the Back to School 5 Days of Homeschool Encouragement is Work It In Wednesday! 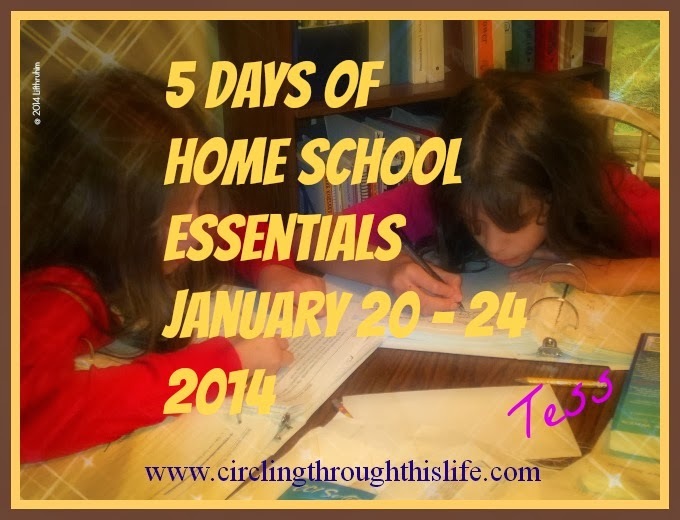 Today I want to share about how homeschooling isn't just form of education but a way of life. One of my big goals for home education was to instill a love of life long learning in my children. Just because it isn't a school day or we are on vacation doesn't mean that education doesn't happen. We live in a state that requires instructional hours. Something equivalent to 5.5 "instructional" hours a day for 180 days. Thankfully my state recognizes that home education can be more efficient than classroom education in a public school. We tended to do 'year round' schooling taking breaks as life thew its punches. During the summer we did more "fun" school like hands on science but my favorite thing about "homeschool as a lifestyle" is that going on vacation didn't mean a break from learning. It meant a break from formal lessons and math workbooks but education still happened. So how did we manage to get the instructional hours in? We did it on vacation. Recently we had the opportunity to vacation in Port Townshend, WA. This is the most northern point of WA on the Olympic Peninsula. When we stopped at rest areas we look at the map. We find where we are and we look for where we are going. 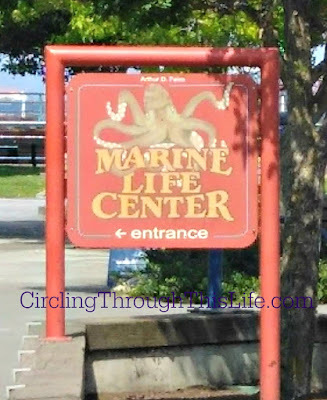 We also took time when at the Marine Life Center (more about that! I promise!) and a couple of restaurants to look at maps they had posted. Supergirl started grasping the layout of the area. Supergirl also got to experience and grasp the idea that Washington is a big area. This was an expansion of geography that she started exploring when we drove from Washington to Minnesota and back again. She knew that we lived in Washington but hadn't grasped that we lived in a city in Washington. She has a better grasp of that now and going forward when we look at a map of Washington or a map of the US she can use her experience of traveling as frame. We visited two different Marine Life Centers while on vacation. One in Port Angeles and one at Fort Worden State Park near Port Townshend. It was actually our college girl that asked if we could do so. She isn't even homeschooling anymore and yet she was just excited to learn more. I guess I was successful in instilling a life long love of learning! We learned that some sea stars think humans are tasty. I wish I had taken a photo of the HUGE sea star. It was not the typical 5 point "starfish" it had like 40 "legs". It was very near the edge of the tank and the volunteer told us to make sure we did not get to close as it would try to latch on to us. Yikes! I got all excited as there was a display showing how the land was changing as they remove the dam and the water flows. We talked about land forms. So we had a bit of biology and a bit of physical geography. We talked about rocks too which was perfect since we've been studying Rocks and Minerals. Supegirl loved the rockfish and we learned about how they saved the fish by removing its diseased eye. I think the fish may have been her favorite part. She loved the Marine Life Center so much that she asked if we could go back but instead of going back we went to the one near Port Townshend. Supergirl got some one on one time with a volunteer who answered questions, pointed things out and encouraged Supergirl to get hands on. They had two exhibits and one was about Orca whales! I learned that there are two kinds of Orca Whales. Transitional and Residential. Supergirl and I did a lapbook a few years ago on Whales and Dolphins and I am thinking I may have to pull that study out and look through it again! We visited historical sites like Fort Worden and the Jefferson County Museum which was the old Courthouse/Jail and is now a history museum. These were fun memory making things we did that also happen to have educational value and if I needed more instructional hours for Supergirl, I could easily add in hours for history, geography and science. We also worked on some language skills by talking about what we learned. The fancy word might be "oral narrations" but she certainly didn't think she was doing anything other than telling me all about what she explored. How do you work in more learning opportunities for you and your family? Here are just a few of the participants from the Homeschool Review Crew. There are even more blogs to check out on the linky!